USS Oliver Hazard Perry (FFG 7). The US Navy’s lone third-generation frigate class, a low-cost gas turbine-powered anti-submarine platform with secondary anti-aircraft and anti-ship capability, was the Oliver Hazard Perry class. Planned while the US Navy was retiring its last World War II destroyers, the Perrys were designed for construction in sufficient numbers to replace them—particularly their ASW capabilities. With a different hull form than the preceding Knox class, the Perrys were slightly lighter but longer, with more sharply-raked stems. As with the earlier ASW escorts, their two General Electric LM 2500 gas turbines drove a single shaft—here developing 41,000 shp, good for more than 29 knots. Two 350 hp motors in retractable pods were added forward for maneuvering and docking—capable of 5–6 knots on their own in an emergency. Detailed design commenced in 1973, before the era of modular design and vertical launch systems. As built, the “FIG-7s” batteries included 36 SM-1MR Standard Missiles and four RGM-84 Harpoon antiship cruise missiles, all launched from a single Mk 13 launcher mounted forward. Other armament included a single Mk 75 76mm (3-inch/62 caliber) rapid-fire cannon mounted amidships, CIWS and antisubmarine torpedoes. For sonar, they carried an AN/SQS-56 mounted below the hull—no more bulbous bow. The Perrys’ initial 445-foot hull provided a hanger for one LAMPS (Light Airborne Multi-Purpose System) Mk I SH-2 Seasprite helicopter. Later, two improved LAMPS Mk III Sikorsky SH-60B Seahawks were substituted. With hangers for both plus a RAST (Recovery, Assist, Secure and Traverse) hauldown system aft, this change required the stern to be redesigned with a raked transom, which added eight feet to their length but, when combined a TACTAS towed array system, made for a breakthrough in ASW effectiveness. Length: 445' or 453' overall; 415' waterline. Draft: 10' to 10' 11" maximum. Displacement: 3,020 tons light; 3,638 or 4,100 tons full load. Propulsion: 2 x gas turbines, 1 shaft; 41,000 shaft horsepower; variable pitch screw. Endurance: 4,500 nm at 20 knots. Complement: Designed: 14 officers; 214 enlisted. 2010: 17 officers; 198 enlisted. Perry was initially classified as a patrol frigate (PF) but changed to a guided missile frigate (FFG) in June 1975 (when the larger guided missile “frigates” of the fifties and sixties were redesignated DDG and CG). That was the same month her keel had been laid at Bath Iron Works; she completed in 1977. Two years later, McInerney followed from the same yard, the second FIG-7 and the first “long-hull” ship (which became the sole US production version after Aubrey Fitch was laid down in 1981). 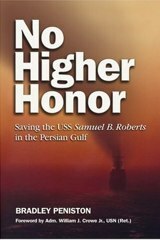 Two books describe the 1987 Exocet missile attack on Stark and the 1988 mining of Samuel B. Roberts in the Persian Gulf during the Iran-Iraq War. Seventy-one “OHPs” were built. Through 1989, the US Navy commissioned 51 ships from three shipyards while foreign navies added 20 through 2004: six by the Royal Australian Navy, six by Spain and eight by Taiwan. Thirty of the US Navy ships completed with the long hull but 21 entered service with the short hull and were never modified. In addition to their ASW capabilites, strengths of the Perrys included their durability and their positive example of cost containment in construction. Early hull torsion weaknesses that resulted in cracking were resolved and, in the Persian Gulf during the closing stages of the 1980–1988 Iran-Iraq War, Stark and Samuel B. Roberts showed they could survive serious damage. The FIG-7s were upgraded over time as older first-line destroyers and frigates were retired and when the last Knox decommissioned in 1994, they became the US Navy’s only operational frigate class. Then, burdened as they were with proprietary hard-wired electronics that left little room for growth, the US Navy began to phase out the short-hull ships (including Oliver Hazard Perry herself) rather than upgrade them. Over the next nine years, all 21 were sold to Turkey (8), Egypt (4), Poland (2), Bahrain (1) or otherwise retired—eight after US navy careers of 15 years or less (rivaling the Claud Jones class for brevity). 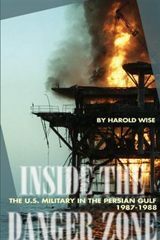 The year 2003 was significant for the Perrys in the US Navy: while the Turkish navy took possession of its last operational short-hull ship (Estocin) and Raytheon terminated support for the obsolete SM-1MR missile, it embarked on a program not only to remove the missile launchers from the 30 long-hull ships but to modernize them, reducing their cost of operation and extending their service lives to up to 40 years. Through 2009, still valued for their helicopter-delivered ASW capabilities, durability and seakeeping, with new-found margin for growth and no near-term prospect of being replaced, these Perrys remained active with the US Navy, either in commission or with the Naval Reserve Force. Attrition resumed in 2010, when McInerney was decommissioned and transferred to Pakistan. Hawes was also decommissioned, followed in 2011 by Doyle and Jarrett and in 2012 by Boone, Stephen W. Groves, John L. Hall and Crommelin. Scheduled for decommissioning in 2013 are Underwood, Curts, Halyburton, Carr, Klakring, Robert G. Bradley and Reuben James, to be followed in 2014 by McClusky, Thatch, De Wert, Rentz and Nicholas. The remaining FFGs, Vandegrift, Taylor, Gary, Hawes, Ford, Elrod, Simpson, Samuel B. Roberts, Kauffman, Rodney M. Davis and Ingraham, are scheduled to decommission by the end of the decade. Sources: Bauer & Roberts, Friedman, Silverstone, Seapower 2013 Almanac.